iPhone 6S with 4GB of data Only £18.50 a month. FREE HANDSET. iPhone X >> Only £48 a month with 50GB of data. FREE Handset. Samsung S9 - Now only £28 a month with 30GB of data - Huge Offer. HANDSET FREE. Cashback offer. Sony Xperia XZ3 with 4GB of data at £25 a month. Free Handset. Fonehouse is a mobile phone company that has been selling handsets since the early days of 1994 and were amongst the first to sell 4G in the UK. With over 500,000 customers on their books, you can trust that they know what they’re doing when it comes to finding you the best mobile phone. The company itself has several different divisions that are designed to supply you with the right product, service and price. From their Fonehouse partner stores, which are physical locations across the UK where you will find their full range of handsets, tablets, accessories as well as a fast, comprehensive repair service both for Consumer and Business mobile needs. Do Fonehouse do Police Discount? The answer is simple – There is no specific deal for Police Community. However! The prices are very competitive and you can find some great bargains. For example if you compare these prices with VOICE999 (special deals for Police) you will find that they are either the same price or on occasion they are cheaper! To their TechHouse and TechHouse Repairs, which are concept stores where the company put fashion and tech together to come up with cutting edge accessories and gadgets. As well as stocking thousands of lines of the latest products, the TechHouse also provides a certified repairs service with most repairs done in 30 minutes whilst you wait. All repairs are covered by a 3-month warranty and only use premium approved parts. 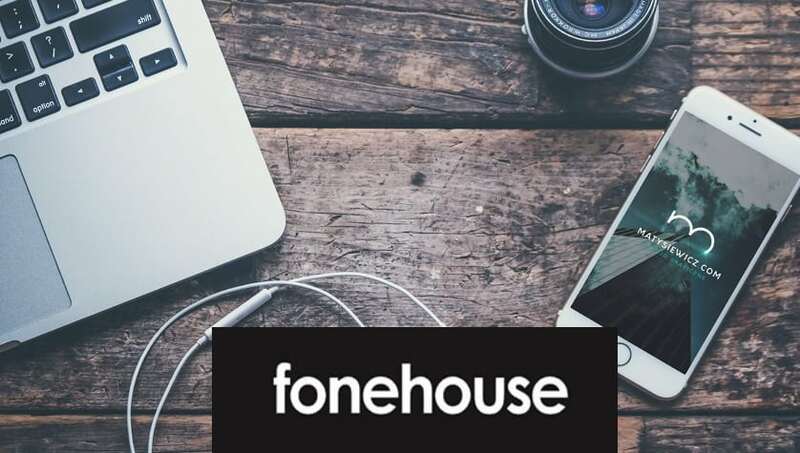 Priding themselves on being a ‘big small business’, Fonehouse aims to be less corporate and more fun. Providing their customers with the care and support they need in order to walk away with a product and deal they’re confident in. So whether you’re looking to try them out online or you’re wanting to pop into one of their 21 stores across the UK, you can be guaranteed you’re not only going to get a good deal but you’ll also have great support on hand to help you with any enquiries. If you’re looking for that next level deal then be sure to check in with us regularly for the latest and best promotions and discounts that Fonehouse is offering its customers. Make sure you’re the first to know about the best handset deals before they’re gone! Cyber Monday Deals - Save on Samsung S9, iPhone X, XS, XR and Huwaei Pro plus loads more!